Peter Gillman has an unrivalled mix of experience – of writing and journalism at the highest level, and of training successive generations of consumer, specialist, business and technical journalists. 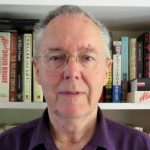 Peter has had a lifetime of writing for major news titles, covering domestic and international events and conducting revelatory investigative journalism. He spent fifteen years on the staff of the London Sunday Times, five of them as part of its legendary Insight investigative team during the period when Harold Evans was editor. Since then he has spent thirty years working as a freelance, bringing home stories for publications from the Sunday Times Magazine to the Mail on Sunday, often under a joint by-line with his wife Leni. He is a successful non-fiction author, again in partnership with Leni, winning awards in his specialist area of expertise. He has worked as a researcher and writer for tv documentaries. For the past thirty years, Peter has also been conducting training courses for writers and journalists. His courses cover the full gamut of topics, from basic reporting skills to internal and external corporate writing. They also range from on-one-on writing sessions to presentations to groups of thirty or more. He is on constant call from former trainees who have since become editors and publishers and want their staff to benefit from his expertise. Peter delivers the ideal mix of technical and inspirational advice, winning remarkable praise from his trainees, as their testimonials demonstrate. If you want a hands-on trainer who delivers courses tailored to the specific needs and goals of your staff and publication, Peter is the one.